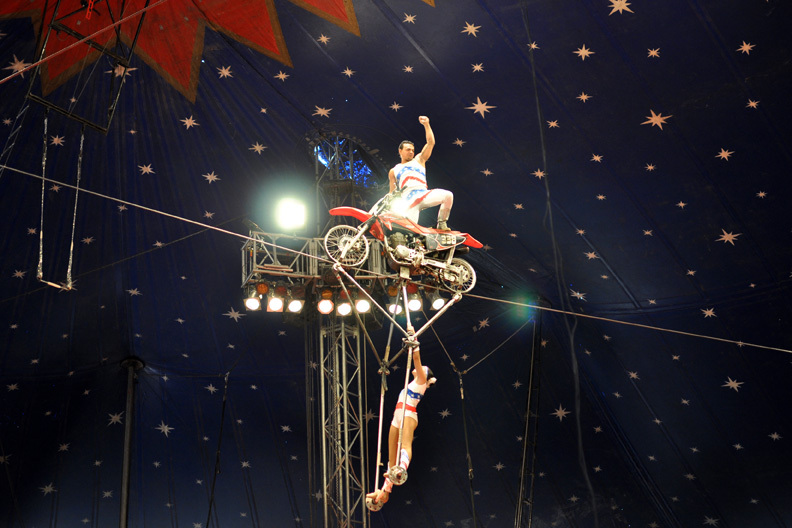 A Carson and Barnes Circus performer pauses atop a motorcycle balanced on a high wire as an acrobat hangs suspended above the crowd Tuesday at the Moffat County Fairgrounds. 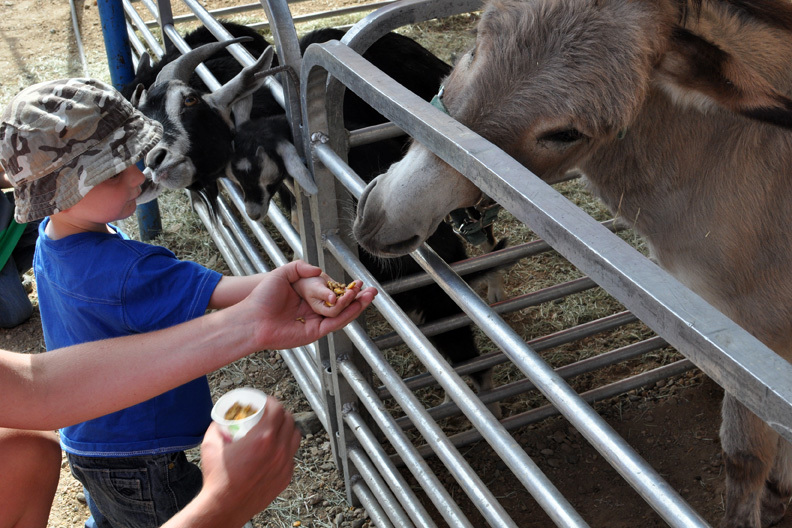 Collin Simpson, 2, of Hayden, feeds a donkey Tuesday with coaxing from his aunt, Jacquelyn Denker, at the Carson and Barnes Circus at the Moffat County Fairgrounds. 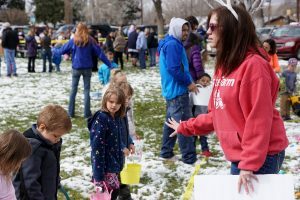 The petting zoo also included llamas and goats. 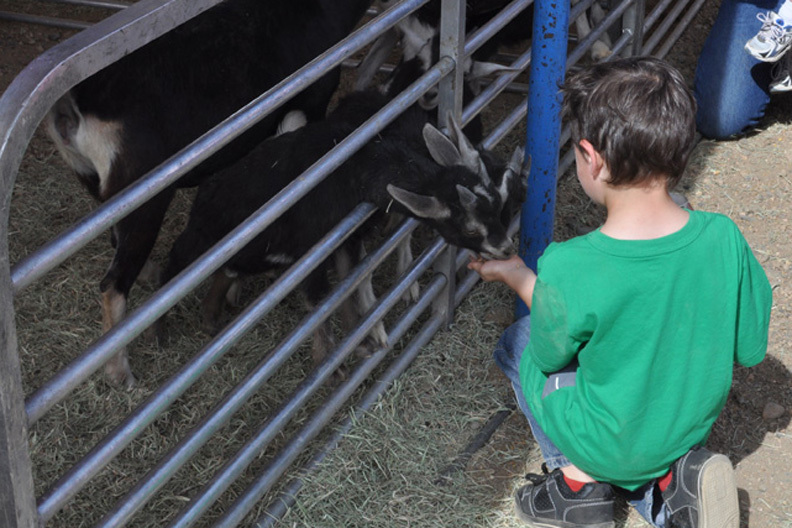 Trevor Forbes, 5, of Hamilton, feeds a goat Tuesday at the Carson and Barnes Circus at the Moffat County Fairgrounds. His mother, Melissa Forbes, said Trevor and his sister, Felicity, 3, had never been to a circus before. 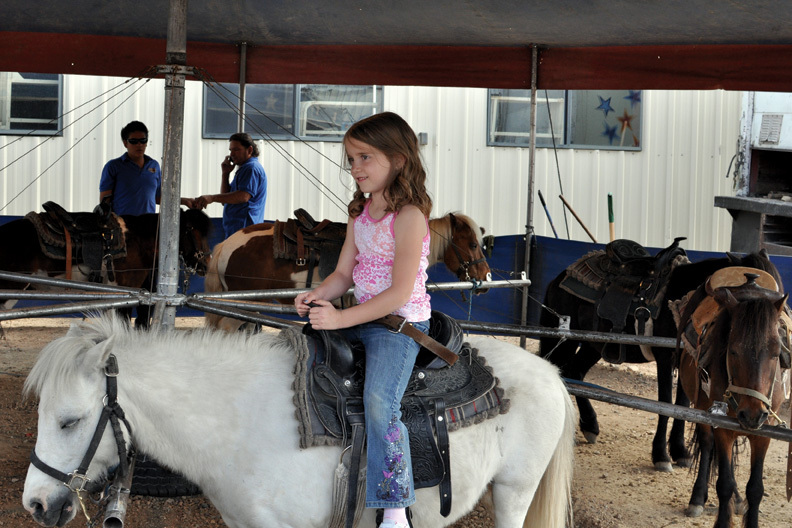 Ruby Short, 6, of Craig, takes a pony ride Tuesday during the Carson and Barnes Circus at the Moffat County Fairgrounds. 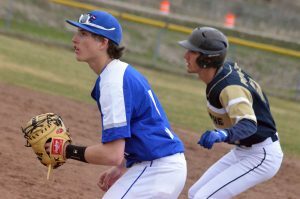 Circus performances take place at 4:30 and 7:30 p.m. today at the Brent Romick Rodeo Arena, 501 Howelsen Parkway in Steamboat Springs. 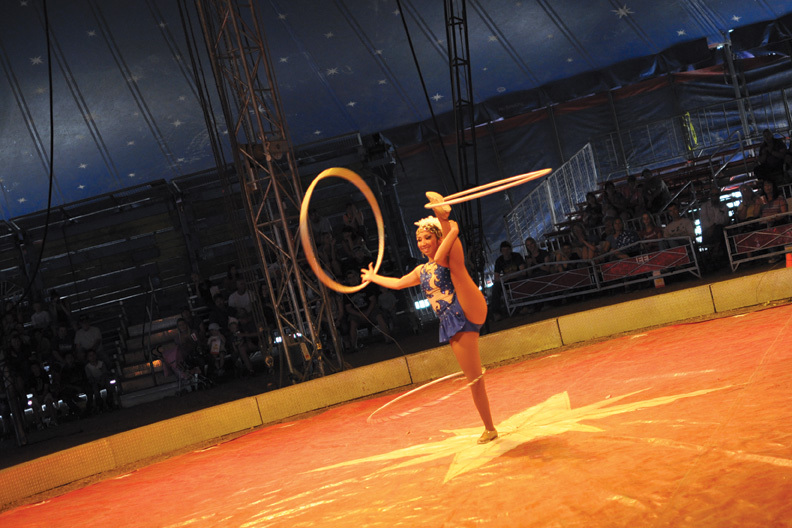 A Carson and Barnes Circus performer spins hoops for the crowd Tuesday afternoon under the big top at the Moffat County Fairgrounds. 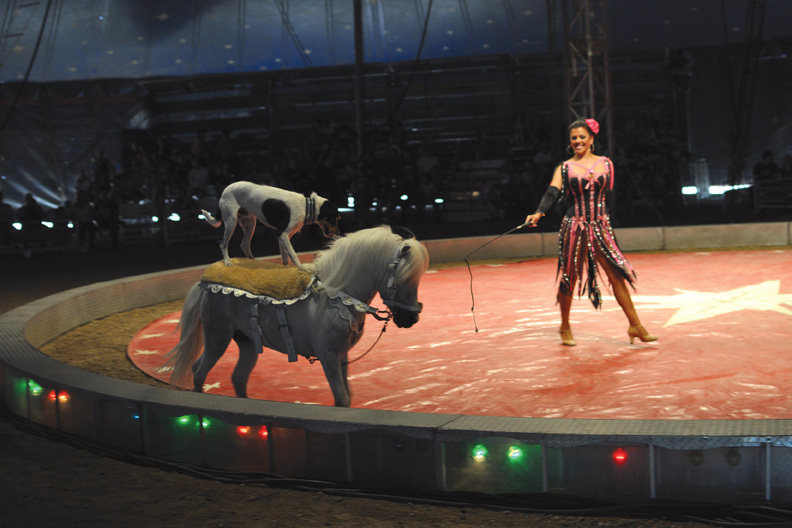 The show also included animal performances and a tightrope walk. 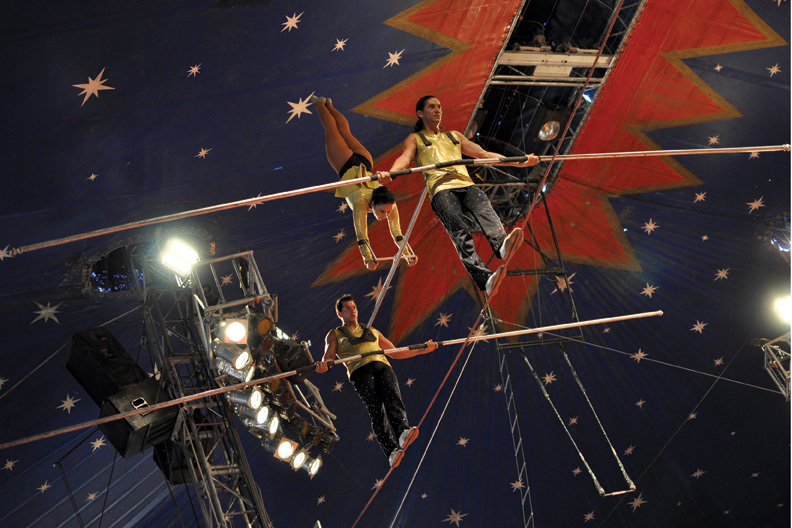 Carson and Barnes Circus performers walk the tightrope Tuesday afternoon during the first of two performances at the Moffat County Fairgrounds. The self-proclaimed “world’s biggest big-top show” also offered elephant rides and a petting zoo. A dog takes a ride on a pony’s back Tuesday afternoon during the Carson and Barnes Circus at the Moffat County Fairgrounds.